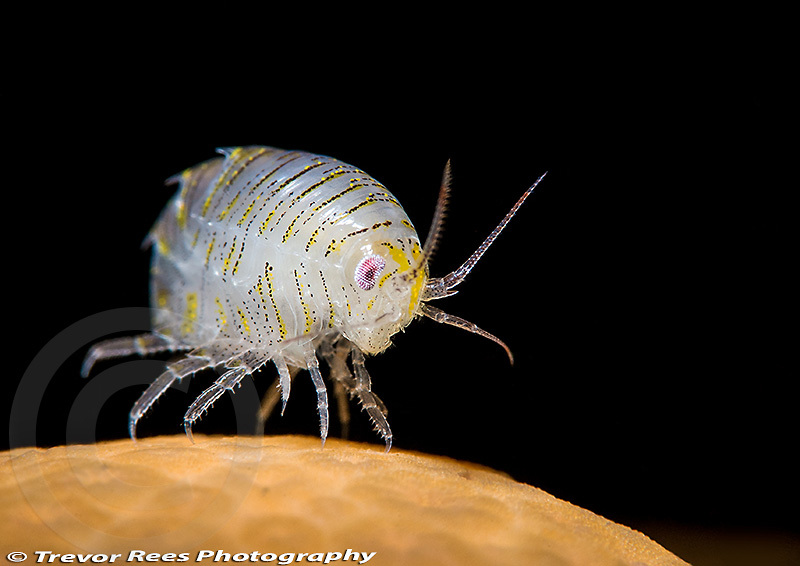 This little crustacean, is an amphipod (Iphimedia obesa) and is about 1 cm long. As with many small subjects that are difficult to appreciate with the normal eye, they take on added interest when photographed at greater than life size magnification. This one was photographed whilst diving in Loch Carron. Scotland. It is not a creature that many have tried to photograph due to its small size and skittish behaviour. This image was judged the best British macro image at the Underwater Photographer of the Year competition - UPY 2015 London. The image was titled 'The Amphipod has Landed' as it seemed to fit the scene of a rather alien looking creature on the lunar like surface of a dead men's finger. Nikon D600, 105mm VR micro + Marumi +5 dry dioptre. Single snooted strobe.